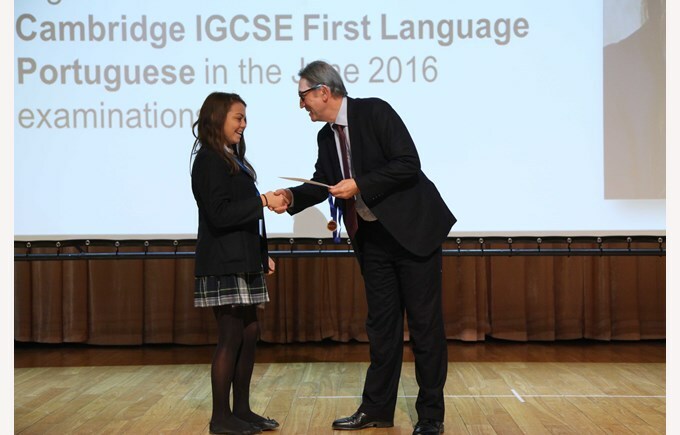 3 BSB Students achieved IGCSE Best in China Grades! Each year after the exam results are published, Cambridge International Examinations also produce a list of “Best in Country”. 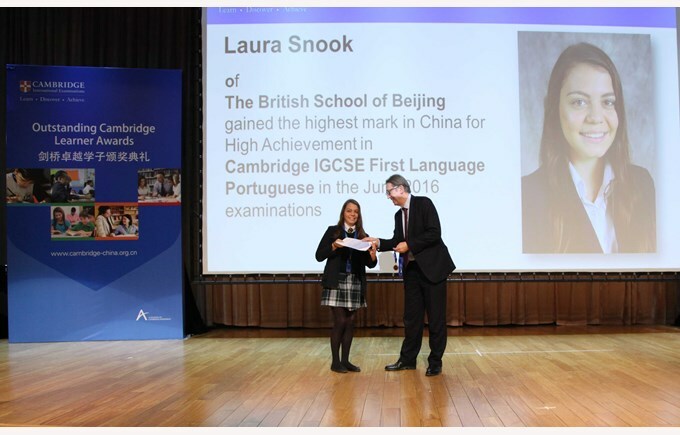 As the name suggests, these are given to students who have the highest marks in China for a particular IGCSE. Special certificates are issued and a prestigious awards ceremony is held in Beijing. We are all very proud of their achievements. 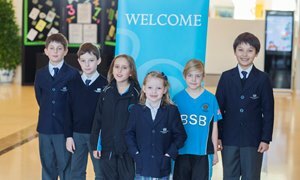 Please congratulate the students when you see them around school! Please see Camille and Laura's reflections below. So, as the holder of the best grade in French first language for IGCSE in China, I was invited to write my reflections for the school newsletter. First of all, I have to let you know that I was not alone. 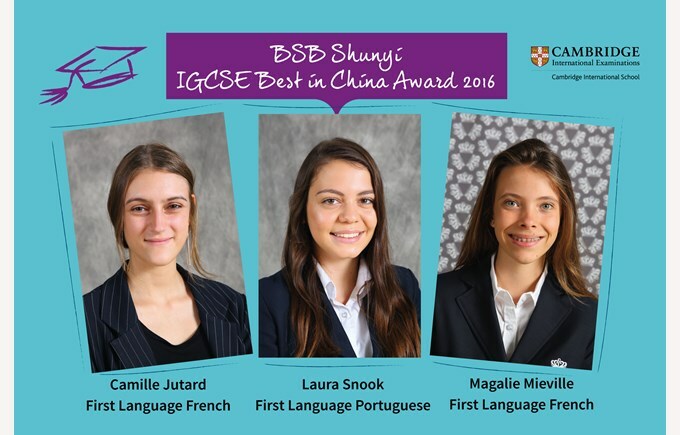 Another BSB student Magalie Mieville, who is not in China anymore, achieved the exact same score as me. Magalie was my friend and I surely would not have had such a good grade without her. She helped me practice, motivated me, put as much if not more efforts into revisions and essays as me and stayed by my side all the time. I was also asked to give some advice or tips. You know the basics, read and revise, so I will not write more about that. My key for good grades, at least in writing, is to entertain. Make the readers laugh out of happiness, cry all their souls out in a tragic/dramatic whim, bite their nails to blood in anxiety. If you enjoy what you do, the reader will as well. This is my only rule. Last but not least, the best is not perfection. I scored 93% on these tests, not even 95, and it was the best grade of China. I really don’t feel like I deserve any congratulations of any kind for this, as it is not exceptional, but I got the best grade in China. I am not a scholar and if I did it, so can you! Being brought up bilingual has its advantages and its disadvantages. Keeping up with two languages, constantly learning both of them throughout your life and coping with grammar mistakes, confusion between the two and many more frustrating things can be a nightmare. The beauty of it however, is not only learning something completely different but also gaining a cultural value from the language that you speak. Another fantastic opportunity is being able to prove and use the gift for things like exams and qualifications. I was able to do this at BSB and get a result way above my expectations. 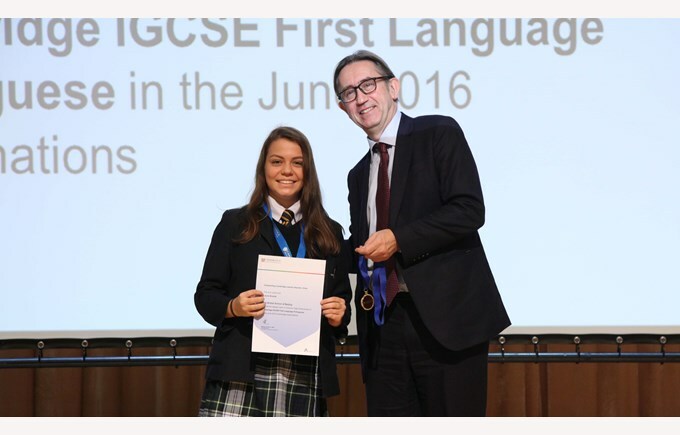 To get an A* in a challenging first language paper was beyond what I believed I could do when I walked into that room to take the exam on a Saturday morning. To be told that I got the best result in China was even more overwhelming and I still cannot believe it. I can say that preparation is what brought me to the outcome that I am witnessing right now and is probably what will get any student to the outcome that they deserve in any exam paper. So the best advice I could give anyone taking an exam would be to revise, even if it couldn't be more dull. Although it isn't the most exciting thing relearning a subject and remembering things from the past, it will all pay off in the end and definitely prepare you for your future.